I am sure you heard about Amazon Echo Dot. Well, what is Amazon Echo Dot? and why you should buy one?. 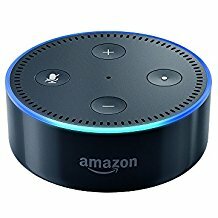 Many users ask me what is Amazon Echo Dot, what does it do and which should I buy. This post is an unbiased Amazon Echo Dot Review on what is Echo Dot, Echo Plus and how to use Echo Dot. I intend do a detailed review on Amazon Echo Dot and share some unheard and best things you should know about Amazon Echo Dot. I will share basic lessons on how to use Amazon Echo Dot and nice tips and tricks for you. Amazon Echo Dot is a voice controlled, hands free device that let you do many things and gives you a taste of Artificial Intelligence in 40$ in US. Amazon Echo Dot is the compact and affordable version of Amazon Echo. There are 5 Echo devices currently. Warranty for Echo Dot - 90-day limited warranty with optional 1-year, 2-year, and 3-year extended warranty. Place Echo Dot in a common place at least eight inches from wall. Connect Echo Dot to a wireless network and listen to instructions. How do I connect Alexa to the Internet? Download the Alexa App to your mobile phone. Press and Hold Action button till light change to orange. I was reading some comments from users who ordered Amazon Echo Dot online and one really stricken me. His brother was paralyzed with Multiple Sclerosis. Alexa is his new bedside companion. You can ask Alexa to play music, control smart home devices, listen to audio books, set alarms/timers, thesaurus, dictionary calendar, food ordering, weather, manage to-do and shopping lists, search for a product, telling jokes, controlling lights, reading news, latest sports scores, listen to rain sounds and help with a math problem. Alexa can lift up your spirits by suggesting new music from Amazon's Unlimited Music Plan and stop the empty and lonely feeling in the house. You can ask Alexa to play any music for all night long. Amazon Echo dot has to always plugged in. Speakers are not loud enough. You may have to pair it with any other blue tooth supported speakers. The voice capture of Echo Dot is excellent. 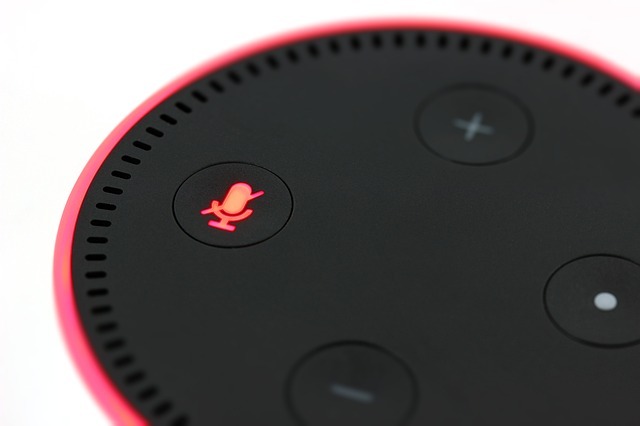 Still there are issues with Echo Dot in capturing requests from user if they are little far away, above echo dot or behind. You need to do give voice training to Alexa. It is a very tedious process and takes a good amount of patience. Voice trainings will improve the accuracy and speed to catch long sentences and phrases. Any mobile phones can be connected to Alexa and Amazon team has not yet added any security protocols to keep away the unwanted connections. You can open the app and kick off all the connected devices via bluet tooth. No way you can block all the other devices that can be connected to Echo Dot. The information is stored in Cloud and you have to delete the history one by one. Alexa will give you all kind of factual information like how far is moon from Earth. Alexa is unable to answer general we queries. Amazon can consider adding a search button for that. Volume of Echo Dot has to be adjusted as per different channels. An auto volume level option can easily solve this problem. Alexa cannot answer follow up questions like Google Assistant. There is a chance that Ants can start a colony inside your Echo Dot. So always clean it and try keeping it away. Amazon do not cover warranty for Ants attacks. Echo dot do not have an automatic filter option to filter musics and child lock. Amazon Echo Dot is fun and useful. It is a product that will cheer you up and make you cry. Users get attached to it differently. 1. Does the Amazon Echo Dot work on 220v? Yes it does. Amazon Echo Dot comes with a USB adapter of 110v. You can even use it with your Card Adapter. 2. Does Amazon Echo Dot has to be Plugged in always? Yes. Amazon Echo Dot do not come with inbuilt batteries. If you want a portable Alexa, try Mokcao Echo Dot. 3. What is the difference between Amazon Echo Dot Vs Echo Dot 2nd Gen? It may little confusing if there is a person in your house with a name Alexa. Alexa is the default wake word for Echo Dot device. You can change the wake word to Echo by doing the following that was featured in CNET. Go to alexa.amazon.com, open the Amazon Alexa app on iOS or Android. Go to the side menu, select Settings, select anyone of the devices under Alexa Devices. Open the settings of that device. Select Wake Word, Select to open the drop-down menu and select either Amazon or Echo.